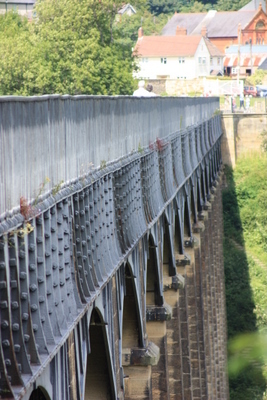 Visit the beautiful town of Llangollen on your Canal boat holidays. 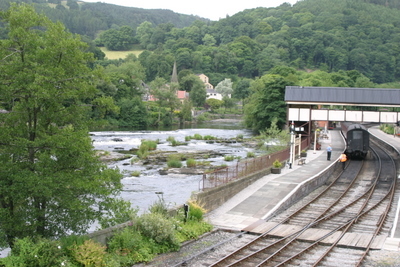 Do not miss the opportunity to visit the beautiful town of Llangollen situated at the end of the canal. Llangollen is famous the world over for the annual International Musical Eisteddfod Each July 4,000 competitors from more than fifty countries come together in a gala of song, music and dance. By day soak up the festival atmosphere were competitors take part in a street parade whilst in the evenings the Pavilion plays host to concerts by world class artists. Llangollen is a haven for shoppers and the town has a wealth of shops for interesting and more unusual gifts. Stay and eat at one of the many pubs, Inns, restaurants or tearooms . Visit Plan Newyddw the home of the famous ladies of Llangollen they became the talk of Regency society as the story of their friendship spread. Set in a peaceful gardens the house is now a museum run by Denbighshire County Council. Take a picnic to The Worlds End and The Panorama a spectacular outcrop of Carboniferous Limestone Great outcrops of limestone providing climbers with a challenge. Views from here are stunning and you can see over the Shropshire and Cheshire plains. 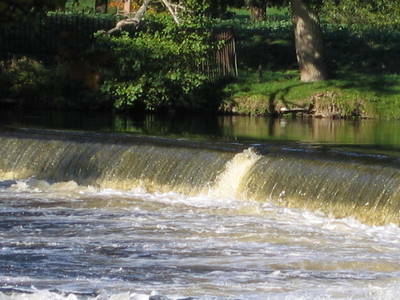 Visit the Horseshoe Fallsa semicircular weir designed by Thomas Telford in 1806 to supply water to the Llangollen canal. The falls were essential to the efficient operation of a complicated and heavily used canal network and represent one of the first river regulation schemes anywhere in Britain. Water was drawn off the fast flowing River Dee into the canal which acted principally as a feeder for the Ellesmere Canal Today 6 million gallons a day are metered into the canal.